These puzzles take the piste ... No? Today Level-5 has most definitely been leading the pack at Tokyo Game Show, showing off all its upcoming 3DS titles and wowing the crowds with gorgeous new trailers. 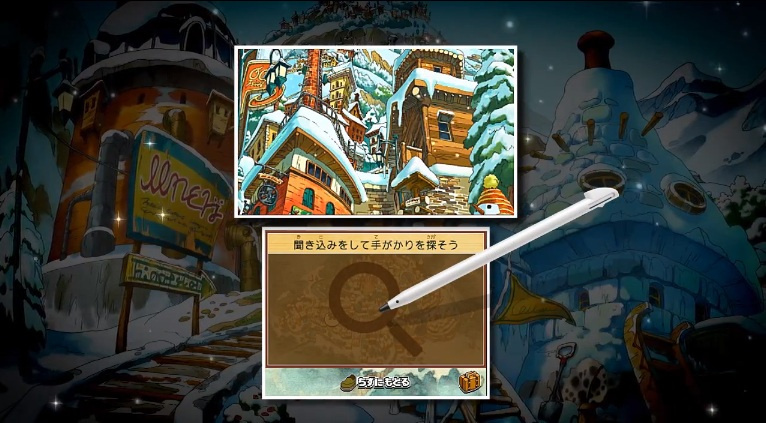 Earlier today we reported the newly released trailers of Professor Layton vs. Ace Attorney and Fantasy Life, and now we bring you the brand new trailer for Professor Layton's 'last adventure', Professor Layton and the Remains of an Advanced Civilisation. The Professor's supposedly final outing will hit Japanese stores next year. There's currently no word whether it will release in the west, but don't worry — we're sure there'll be an announcement on the way soon. Wow, that trailer was amazing! This looks like it will be an excellent end to the Layton series. I know we've got 3 more layton games (5, 6 and Vs Phoenix Wright), but I'll be darned if I don't admit it. I want more! I seriously hope this isn't the last "Layton" game. Even if we get more layton styled games, it just won't be the same with a different protagonist. I always assumed (read: hoped) that after layton 6, we would go back to the future and join in where the ending of game 3 left off, when Luke sent a letter to Layton asking for his help. Also: This game is gonna be the most depressing of all, Emmy has to either die or be forcibly removed somehow to explain her disappearance in the original trilogy. And you know it's going to be the last thing that happens in the game too, because Level 5 sure wouldn't break their running combo and let a Layton game (or film) end on a happy note. Sadly I have yet to play a Layton game. Maybe eventually I'll get the series on an eShop, if they decide to put it on one. Looks interesting. Although I've never played a Professor Layton game, I'd like to. Beautiful!! These look like some of the best Layton settings yet!! Is there a genuine reason why this will be the last Layton game, if that's true? I mean plot wise. Oh my GOD that music was amazing!! I never played Prof. Layton. I will get one someday but which one? Why would you want to end the Layton series? I've played every single one and their all amazing! My mum likes playing them too and I think she'll be upset knowing that the Layton games are coming to an unwanted end. Is this "Mask of Miracle"? 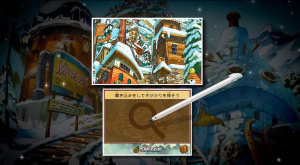 Or does 3DS have two Layton's in the works? This is a previously unannounced Layton title. I'll probably be picking up a 3DS sometime soon just so that I'll be able to play Miracle Mask. I am very excited about it. I'm getting some Castle in the Sky vibes here. Level 5, why don't you want my money? And why must it end so soon? @TheBaconator: I was thinking the same thing, and it's awesome. Looks like this is it, but what an ending this will be! Also, Emmy's last line translated - "Goodbye Professor Layton. It was fun travelling with you..."
i can't wait for this and miracle mask. professor layton is awesome. I'm crying here,please don't go mr Layton. Played the first game, but didn't get the sequels for some reason. I regret that now. @Linkstrikesback Exact same feels! D: Nnnnnnnngh!